Drain your tofu and wrap it in several layers of paper towels. Lay it in a pan, place another pan on top of the tofu and weigh it down with a few cans of soup. Leave it to drain and get more firm from the press for about 30 minutes. Meanwhile, mix all the other ingredients together and whisk them thoroughly to make a marinade. Unwrap the tofu and cut into 3/4â�� cubes. Place tofu in the marinade such that itâ��s fully submerged. Cover and leave overnight in the fridge to allow the flavours to develop. 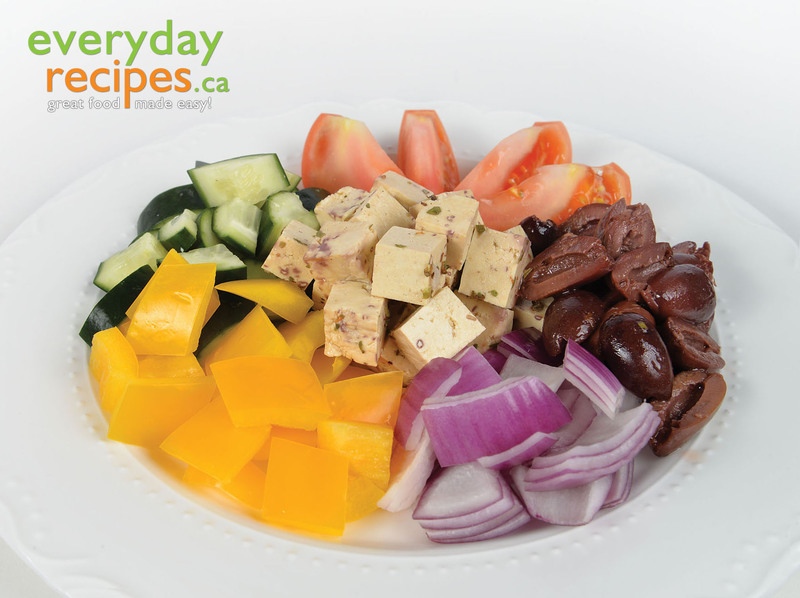 Serve in any of your favourite dishes that call for feta. It will keep for a week or so covered in the fridge.